The German-Austrian collaboration continues and will soon be enriched by a new product. Now, rapper Sido and his longtime friend and business partner Burkhard Westerhoff alongside the Austrian Spirit’s burner Josef Farthofer, who is well known for the many awards bestowed upon him for his distillery, are on the lookout for a completely new and out of the ordinary Gin. The choice of ingredients is extraordinary. Amongst the main components distilled will be juniper, orange peel, lemon zest, lavender and fresh cornelian cherry. A supplementary to distillate craftsmanship, from the cultivation process on self-owned fields to the unique, mouth-blown, bomb shaped bottle, produced one by one in Poland. 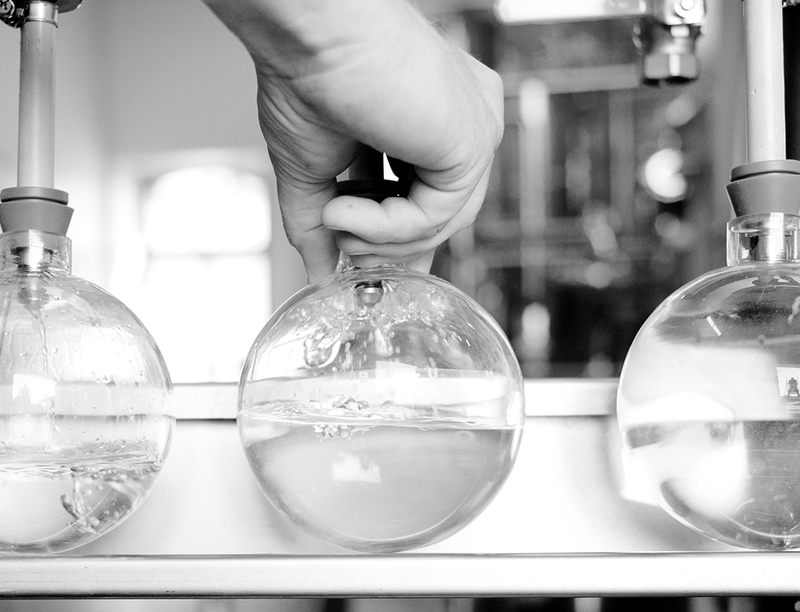 KABUMM Gin distillate is clear, brilliant and transparent. Its scent reminds one of a mixture of juniper, orange peel, elderflower, freshly cut grass with a hint of black pepper. The nose is infatuated by a red-fruity component. An intensely, full, round and gentle viscous taste, that remarkably obtains all its aroma and flavors for a constant and harmonious length of time on the palate. Balanced, individual, grand, somewhat bold. The slight bitter outflow of the dirndl perfectly balances the intensive bouquet. 40% Alkohol. An extravagant gin. Out of the ordinary in taste, 100% natural. A statement of sustainable distilling-art. The term „home made“ is more common with cakes and pastry confections. But it also applies in the purest sense to KABUMM gin. Farthhofer’s critical quality demand includes the cultivation, the care, the harvesting of his own grown grains as well as the fetching of water during morning hours from the family owned well. One of his favorite activities because he is aware of the enormous significance of the pure and clear water for his spirits. He also has great knowledge about botanicals and their properties. More than 50 steps are necessary before KABUMM gin is finally bottled. 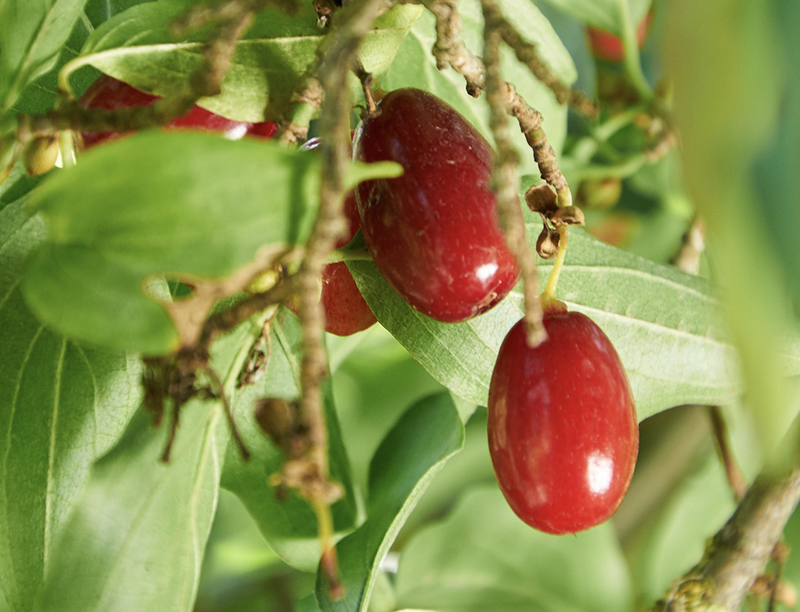 Nowadays cornelian cherries are mainly found in the Hungarian Danube Floodplains, in Italy and in the black pine regions of lower Austria. The Lower Austrian valley Pielachtal, south of St. Pölten predominantly goes by the name of this fruit, simply „Dirndltal“ (dirndl valley). There the traditional Austrian food is even dedicated to one of the about 100 culinary regions. Josef Farthofer obtains the red fruits for KABUMM gin from the just 50 km distant Pielachtal. Farthofer distilles KABUMM gin in costly copper stills instead of stainless steel columns. These copper stills are his pride and joy. From various types of materials, copper has proven to be the best choice for manufacturing high quality distillates. 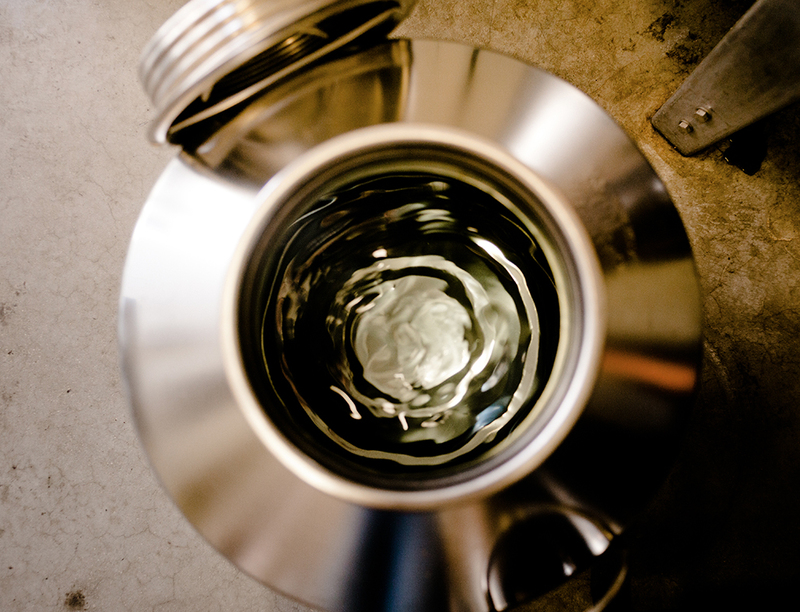 After the maceration process the individual components are then stored in steel tanks. 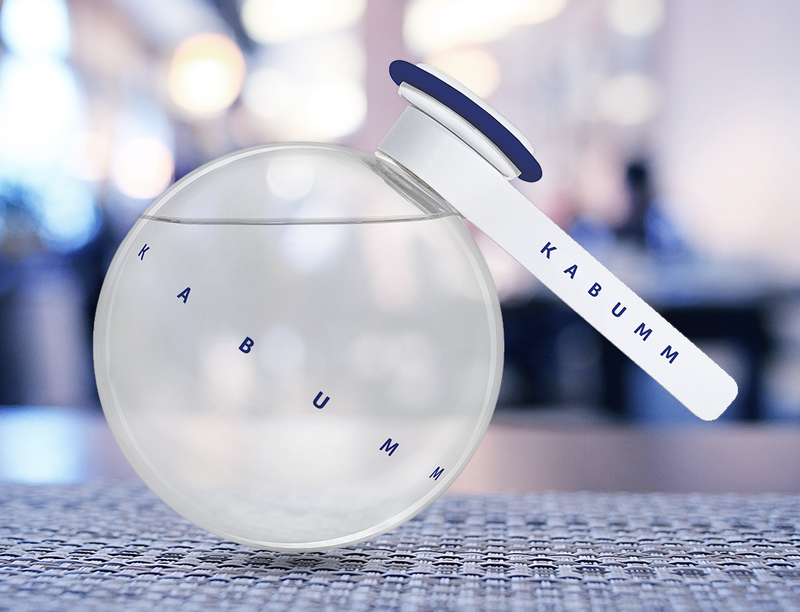 After the great effort of bringing in the largest possible amount of pure aroma in the distillate, KABUMM gin is then stored in another type of container that prevents it from absorbing any other odours. 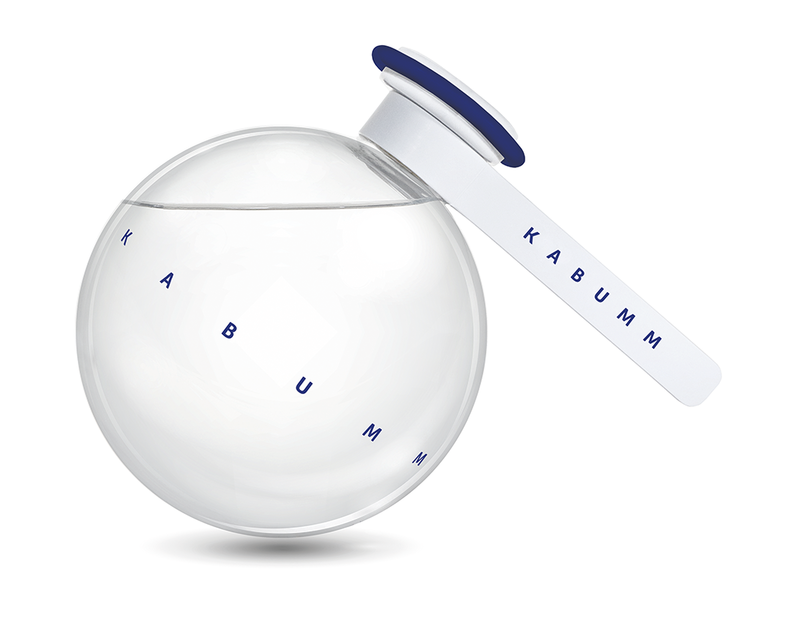 KABUMM gin is as tasteful and natural as its aesthetic and clearly structured packaging. Its name KABUMM naturally suggests its bomb shaped bottle. The search for the right glassworks turned out to be the most difficult part of all. It took months of incredibly meticulous research to find and contact the best and most traditional glassworks in central Europe. But the three didn’t give up. 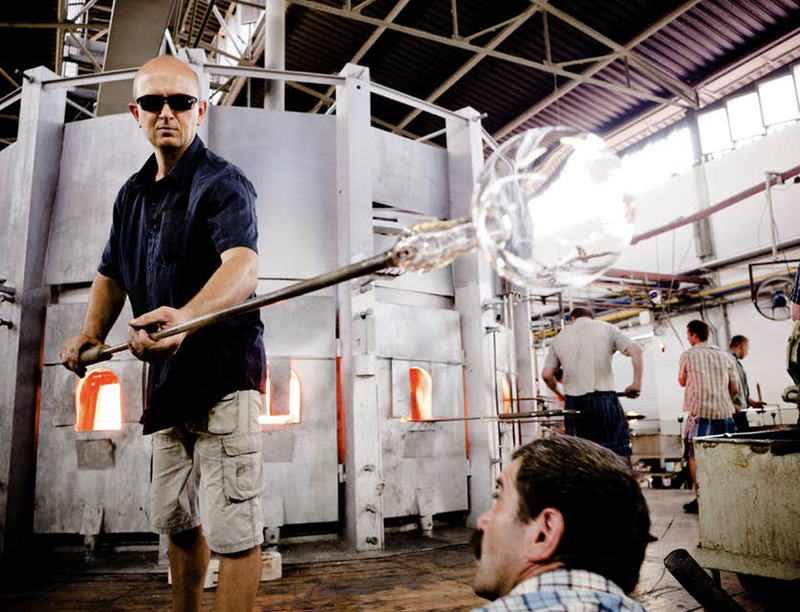 Sido, Burkhard Westerhoff and Josef Farthofer eventually found a glasswork factory in the south of Poland with a particularly long tradition in glass-blowing. Each KABUMM bottle is mouth blown in a family operated glass-blowing factory one by one. The rounded shape with a slightly thickened base and the spout of the bottle requires precise and accurate work from the glassblowers. Only the most experienced are capable of manufacturing the KABUMM bottles.